During the first IHO Assembly taking place from 24 to 28 April 2017 in Monaco, the represented Member States will elect the new Secretary-General and Directors. The nominees present themselves by answering the same 5 questions. This multi-interview is available at www.hydro-international.com/iho-2017. Captain Luigi Sinapi (Italy), nominated for Secretary-General and Director, answers 5 questions. An increase in the number of Member States would be beneficial not only for the IHO, but for the entire community. The global economy heavily depends on the sea - and relevant knowledge. The sea has always been a source of life and resources and needs to be protected. I personally would like this increase in memberships to involve not just coastal states, because the sea is a crucial resource for us all. The amended IHO Convention has made it easier for UN Member States to join the IHO. However, a promotional campaign should be led by the Secretary-General in those countries which have not yet joined the IHO, also through diplomatic channels, to clarify any issues their political institutions might still have. The UN Assembly, where the IHO is a permanent observer, has proved useful in promoting the organisation, and so have the invitations to attend the IHO Assembly and Regional Hydrographic Commissions (RHCs). The IHO efforts, in sum, should spread out in different directions – addressing individual countries, through the UN and through the RHCs, focusing mainly in those areas where the IHO is less represented. Surveying and charting the world's seas and oceans, sharing environmental protection and sea knowledge are activities that go beyond the specific interests of individual countries, and are the basis of the very concept of hydrography. Education, Infrastructures, Sustainability and Blue Economy are at the core of my candidacy. In countries with a solid hydrographic tradition, sustainability and Blue Economy go hand in hand. It is important that this becomes a must in all countries – coastal states, countries with maritime interests, IHO members and non-members. The promotion of Maritime Capacity Building as a key element of a sustainable Blue Economy must be carried out. This starts with education – from basic training to highly specialised skills – but reaches farther than that. I know this means hard work for the Secretary-General and Directors, who will have to develop an effective and financially-sustainable strategic plan for the approval of the Member States, to be implemented in the short, medium and long term also by the private industry and individual Governments. Italy, for instance, has been supporting Lebanon in the creation of a national hydrographic service. I think the IHO should encourage such projects. IHO has established Memorandums of Understanding (MOU) with several other Organisations, Associations and Institutions. In particular, the IHO is a permanent observer of the UN Assembly. In which way will you coordinate the relations with those entities in order to obtain support in meeting the IHO objectives? I think there is a mutual interest in effectively cooperating with international organisations - intergovernmental or non-governmental – and it has proved fundamental for the IHO to take part in their most important meetings, optimising resources and creating suitable Working Groups (i.e. IENWG – IHO-EU Network Working Group with the EU), ensuring coordination between the IHO and the individual organisations. Some of these international and super-national organisations can directly contribute to the enhancement of the Hydrographic Offices in developing countries and to the support of hydrography, nautical cartography and oceanography training centers. In addition to the new Council, formed by the top national representatives from 30 Member States, the Secretariat will count on a special team of experts from the academic world and research institutions. A former IHB Director, Adam Kerr, wrote in his book Charting Polar Seas,: “I was of the opinion that some of the most innovative work was being done by the commercial companies”. In order to reach one of the most important IHO goals and ensure that all the world's seas, oceans and navigable waters are surveyed and charted, the private industry is a fundamental resource and the organisation – through the Secretary-General and the Directors – must use it wisely and for the best. 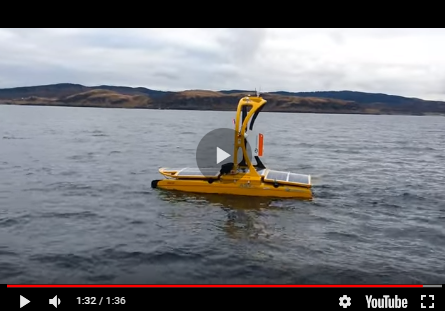 Guidelines for the implementation of crowdsourced bathymetry and proper standards for the collection of hydro-oceanographic data with new technologies – i.e. Satellite Derived Bathymetry (SDB) – must be issued, to coordinate the ever increasing number of public and private contributors. At the same time, a proper framework to make data available to all stakeholders, for a variety of applications, must be developed in order to increase data repeatability and interchangeability. An active presence of the private industry in the IHO working groups and conferences can provide added value in the data standardisation process and in the development and employment of digital products. The IHO must supervise and coordinate the development of the hydrographic component of Marine Spatial Data Infrastructure, and promote the largest possible use of the data collected and validated by the Hydrographic Offices for a wide range of purposes. Copyright, cost recovery and data integrity should be carefully considered. An efficient Marine Spatial Data Infrastructure shared by Member States would ensure a wider use of data and a more efficient use of resources to promote knowledge of the marine environment, with a collective benefit. The IHO will play the role of facilitator in the growth of this infrastructure, through the development of projects which can be carried out regionally or globally, guaranteeing compliance with international rules and standards. Born in 1967, Captain Luigi Sinapi is the director of the Italian Hydrographic Institute. A Category A hydrographer, Sinapi has a BSc degree in Navigation and Maritime Science, two MSc degrees (Physics; International and Diplomatic Sciences), and two II level Master degrees (International Strategic and Military Studies; Marine Geomatics). He was commanding officer of survey vessels and warships and liaison officer at NATO Naval Command South Europe and still teaches Hydrography at the universities of Bologna and Naples.